DJ NeoGeo first started spinning in 1991 with another DJ crew before joining Canned Beats later that year. 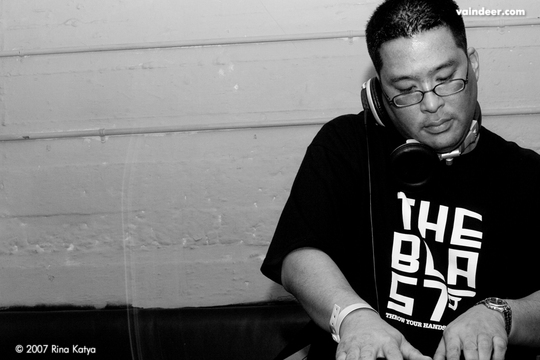 After spinning at a variety of mobile gigs for a decade (school dances, wedding parties, company parties, etc), DJ NeoGeo jumped into the Bay Area club DJ circuit. In 2002, DJ NeoGeo co-founded The Formula in 2001 and Nodphonics in 2012 and thus has helped create & establish such residencies/events as Body Rock, The Blast, Hella Good, Prefunk, Stereo Sessions and Back To Basics. Representing Canned Beats, Nodphonics and The Formula, NeoGeo has spun at various parties and events all over the San Francisco Bay Area alongside X-ecutioner Rob Swift, the World Famous Beat Junkies, Triple Threat DJs, DJ Neil Armstrong (Jay-Z’s Tour DJ/5th Platoon), Rock of the Boot Camp Clik/Heltah Skeltah, Dilated Peoples, MC Supernatural, Haul & Mason, DJ Revolution (Wake Up Show), DJ Numark (Jurassic 5), Brand Nubian’s Sadat X, Frontline, Amplive (Zion I) & The Rub (DJs Ayers, Cosmo Baker & Eleven).